On June 6, 1986, "INVADER" premiered at the Jersey Village NW Village Cinema 6. Directed by a seventeen year-old John Jansen, "INVADER" was a Super-8mm remake/redux/re-imagining of Michael Mann's 1981 film "THIEF". INVADER (1986) - Trailer from Green Mill Filmworks on Vimeo. 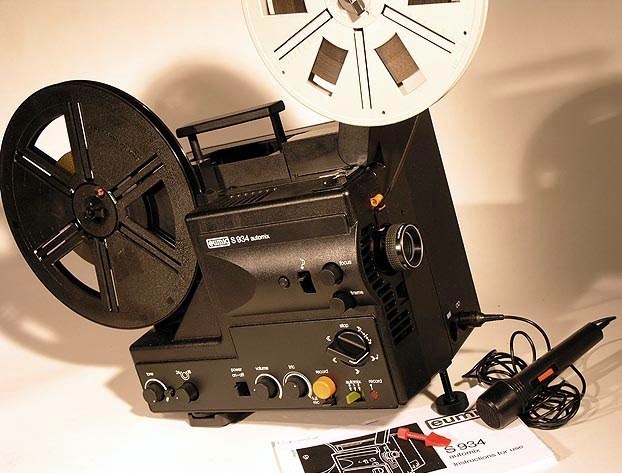 projector allowed you to record onto Audio Track #2 on the Super-8mm film. 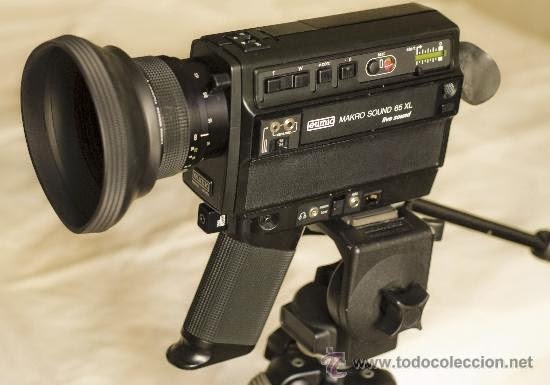 This provided a method to record music or voice-over onto the original film. 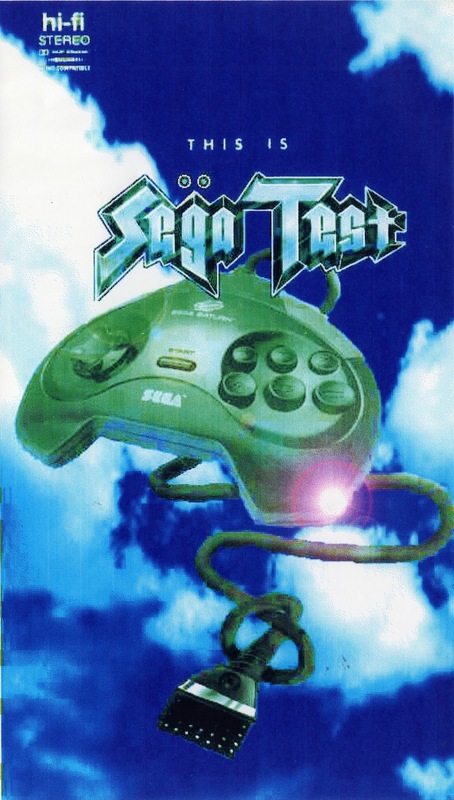 A "trainumentary" created for the Sega Test Department in 1995-1996. This is SEGA TEST (1996) Director JOHN JANSEN from Green Mill Filmworks on Vimeo. John Amirkhan, “Assistant Manager”, is listed as a Tester for Sega and thanked in credits up until 2001. I saw an actor on IMDB with the same name, but no idea if it’s the same guy because of the beard. 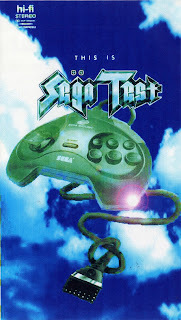 Mark Paniagua, “Producer-Tester”, was listed as Testerfor Sega games until 1998. Works at HP now I think? Joe Damon, “Tester” with the goatee, was listed as doing testing until 2000. Then listed as an artist on 3DO High Heat Baseball 2003/2004. Seems to be working as a UI Artist since then. Rich Kirnock, “Tester” with the lip ring, is listed as doing testing until 2000. No idea what he’s doing since then. Tracy Johnson, the “Producer-Tester” who liked to troll kids at Toys R Us, has a mountain of credits up until 2006, mostly as a Producer in the later years, but also a couple of music and design credits. Looks like he’s been at Midway since 2004. Joel Breton, “Lead Tester” who always looked like he just got back from surfing, has his own impressive Wikipedia page, worked at Bethesda, apparently setting up their Russian dev studio, did some casual games, then joined Take-Two and produced some sports games, went to Hudson and produced Bomberman Live, Bonk’s Adventure, Diner Dash. He’s apparently now a professor of social game design at The Games Academy in SF. Janine Cook, “Tech Coordinator-Tester” and smoking enthusiast, is listed as Tester until 1996 (she has a couple Japan-only Sega titles on another site). According to this Broken Joysticks article she still works for Sega as a producer...not sure why her more recent credits aren’t showing up. Steve Apour, “Producer-Test Manager” who looks like he just stepped out of Clerks, has done various thingsin the industry; a stint as Producer, then it looks like he went into the biz side. Steve Patterson, “Producer-Test manager” with the X-Men poster behind him (he worked on design and story for the X-Men Mega Drive game), worked on Testing and as a Producer/Designer until 1999. Seems to have worked at Leapfrog and Nokia afterwards, and is now a freelance? product manager and producer. Kim Rogers, “Tester”, fan of fighting games, and mega-babe, is listed as doing Tester and Producer roles at Sega until 2012. She still works at Sega as a Business Planning Coordinator. Mark Griffin, “Pico Tester”, seems to have survived his traumatic Pico experience and has stayed in the industry. Was listed at a Tester until 2000. He has credit thanks on games like BioShock, Fallout 3, so maybe he worked at Bethesda? Worked at OnLive, and last year was working at Nintendo..I think doing dev relations. His Twitter, though he hasn’t posted since last year. Now working at VR Ventures... VR tech maybe? Chris Muchich, “Tester” and Virtua Cop stuntman, islisted doing testing until 1998, but has some design and producer credits until 2003. Oddly listed as a “Dialogue Editor” for Shenmue, whatever that is. Not sure what he’s doing now. Jeff Junio, “Tester” and martial arts expert, has worked at several companies and roles after Sega, including 3DO, EA, Zynga, and Rockstar. He was a Game Designer on Midnight Club 3 and “Ambient Designer” (not sure what this is...NPCs and such?) on Red Dead Redemption. Not sure where he’s at now. Dave Dodge, “Lead Tester” and hero of the story, islisted under many roles at Sega until 1997, from Tester to 2D Animation to Level Layout. Looks like he worked at 3DO after Sega, and is now a founder at a startup called CodaKid focused on teaching kids how to do game design. He no longer has his long curly locks. Tom Kalinske, “CEO, Sega of America” and meddling school principal in many 1980's teen movies, is currently the Executive Chairman of Global Education Learning, a “company dedicated to children’s education in China”. Originally created in 1986 and updated in 2006 for the Jersey Village High School Class of 1986 in Houston, Texas. FALCON '86 from Green Mill Filmworks on Vimeo. 30 days ago, I started work on ABIGAIL 2.0 or 2011. Five of the main cast had been replaced from the 2010 production, including Abigail, Rebecca and Tituba. This basically meant that the film I created in 2010 was no longer useful. Actually, about 8% of was reusable, the rest had to re-shot from scratch. What is ABIGAIL? This is an original ROCK OPERA based on the Salem Witch Trials that is currently performing live in San Francisco. It was created by local artists Skycastle Records and Buzz Presents, who had put on successful productions of JESUS CHRIST SUPERSTAR, TOMMY, THE ROCKY HOROR SHOW and PINK FLOYD THE WALL in the past. This is their first original rock opera. 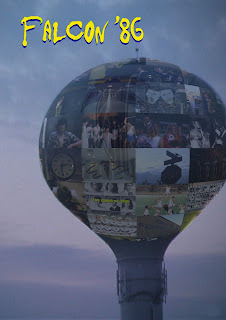 I was recruited in 2002 to create the backdrop film for PINK FLOYD THE WALL. Last year, i started work on ABIGAIL with the original cast, creating a backdrop film to play behind the performers to help tell the story more clearly. I had actually planned to finish shooting the remaining gaps in the original backdrop film this year. But then the show was re-casted...and everything changed. So on July 23, I show up for shooting and meet the new Abigail for the first time and we set off to try and remake/redux/reboot ABIGAIL. We shot for 5 days. I edited for 10 days. And I'm confident we made a better film. It probably helped that since last year I had written out an ABIGAIL screenplay, dramatizing several ideas within the songs. Some of this has made it's way into the new film -- a lot is still left to shoot. It's been a crazy 30 days. From a blank page to a live backdrop film.